A recent 9th Circuit decision provides a noteworthy warning to homeowners considering bankruptcy. While bankruptcy may provide troubled homeowners with relief from losing their homes through foreclosure in certain situations, the bankruptcy courts are not an automatic shield. The court’s ruling in In re Alakozai demonstrates this, concluding that debtors could not use a series of bankruptcy filings to keep from losing their foreclosed home. In 2005, Mohamed Alakozai signed a promissory note for a home in Dublin, California. The creditor, Valley Credit Union, later merged with Citizens Equity First Credit Union. Alakozai defaulted on the note, and the credit union began pursuing a foreclosure action. As the case progressed, Alakozai and his wife filed a series of bankruptcy petitions, hoping to prevent the foreclosure. Ultimately, the credit union foreclosed on the property. The couple did not leave the property, and the credit union filed an action for unlawful detainer. The debtors filed another bankruptcy petition, but the bankruptcy court gave the credit union relief from the automatic bankruptcy stay, in order to allow it continue its unlawful detainer action. The wife appealed, arguing that the court should not have allowed the detainer action to proceed. The 9th Circuit sided with the lower court, though. While the automatic stay in bankruptcy is very broad, and normally remains in place until the court dismisses the case, closes the case or grants the debtors a discharge, a creditor may obtain special permission to continue its legal actions in certain situations. This exception applied directly to the debtors’ case, the court concluded. The debtors filed a bankruptcy petition in late 2010, and the creditor obtained relief from the automatic stay in order to pursue its foreclosure action. The court explained that the debtor was using the automatic stay provisions, as applied to the later bankruptcy filings, to mount an improper collateral attack on a previous, final order permitting the credit union pursue its rights as related to the Alakozais’ home. 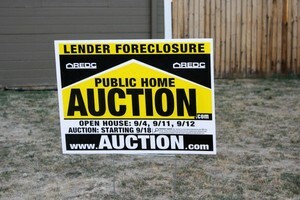 For homeowners facing foreclosure, the bankruptcy laws may sometimes provide a much-needed chance to save their home. A Chapter 13 filing may be an essential technique for relief such as removing a second mortgage from an underwater property. To learn more about your options for delaying or preventing foreclosure with the help of bankruptcy, consult the Bay Area bankruptcy attorneys at the Law Offices of Melanie Tavare. Oakland bankruptcy attorney Melanie Tavare has helped many clients in similar situations, and can help you construct a plan to strengthen your financial future. Call (510) 255-4646 for your free consultation today.